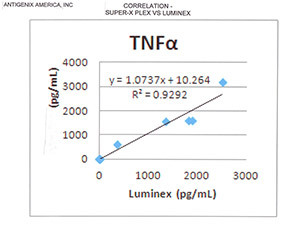 Assay uses antibody coated beads, Biotin Detection antibodies, 96 well filter plate, and R-PE signal for analysis. 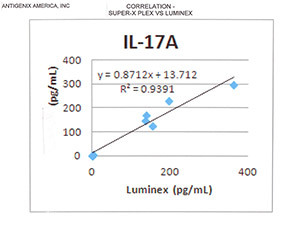 Sensitivity less than 10.0 pg/mL for most assays! 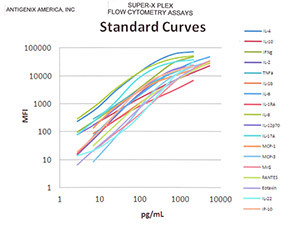 Sample Types: Use Serum/Plasma, Cell Culture Fluid, Cell Lysate, or other biological fluids. Assay Time approx. 2 hours! No measurable X-reactivity within each panel. Standards are Pre-Mixed for most assays ( Both Individual and Panels) to facilitate fast and easy plate prep. Mix and Match one or more Individual Assays from a given Group to Build your own custom panel! 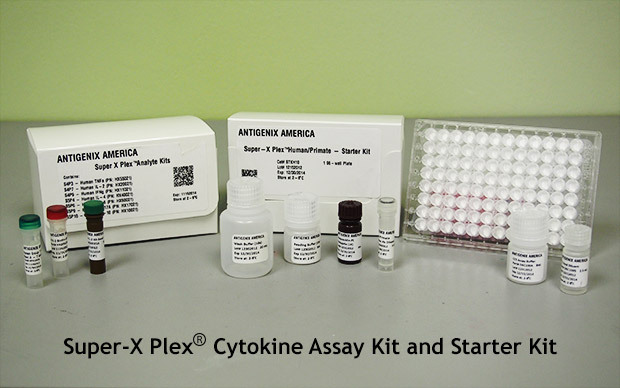 Order a STARTER Kit ( 96 tests) and a SAMPLE DILUENT Kit to match sample type and Species of Samples. Complete Starter Kit with: Filter plate, Wash and Reading Buffers, PE-conjugate, PCR 8 tube strip. 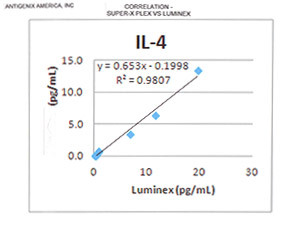 Detection Antibody Diluent ( matched to Sample Species). Extra Set of Pre-Mixed Standards are available, if needed - order as separate item. Copyright © Antigenix America, Inc.